On the 18th of March 2017, SheerLuxe hosted their inaugural Fashion Day, with tickets selling out in just 48 hours to 130 readers. 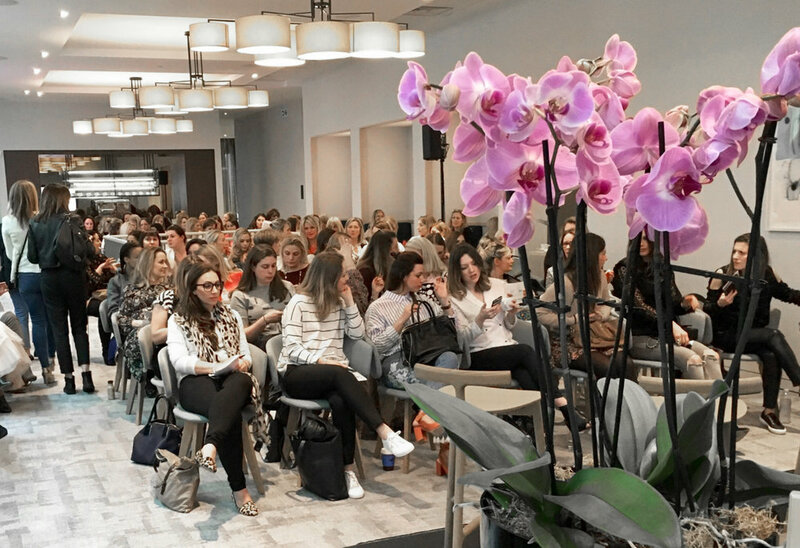 Hosted at The Clubhouse in St James’s Square, industry names like Trinny Woodall and Lorna Luxe gave keynote talks on everything from dressing for your shape to how to wear trends past your 20s, with brands including Topshop and ghd sponsoring sessions. With live fashion hauls, lively panel discussions and a host of fun extras thrown in (guests went mad for the manicure and make up stations), the day was hailed as a success by all. Trinny Woodall – what to wear to suit your body shape and the best high street shopping hacks. “Thank you so much for having us, we had such a great day and had incredible feedback from the guests.” ME+EM, Sponsor at the Fashion Day. “Just wanted to say thank you to you and your team for a wonderful Fashion Day on Saturday. It was great to hear all the talks and to meet so many other people. The day was a great reminder of why we all love fashion so much.” A SheerLuxe reader. “I just wanted to say thanks for an amazing day. You guys pulled o an absolute treat of an event. Again, lovely to work with you.” Ashling McCloy, Speaker at the Fashion Day. “I’m always delighted to work with SheerLuxe. They have a real understanding of their audience and provide a unique, thought provoking and interesting platform across a multitude of categories. The attention to detail online, at events and ongoing communication is excellent also.” BLOOM Gin, Sponsor at the Fashion Day.